… um, feces. I once researched a story on burrowing owls, who nest in the ground, and learned they sometimes line their holes with horse manure. The theory is that the horsey smell fools badgers, who would otherwise waltz in and enjoy an owl buffet. 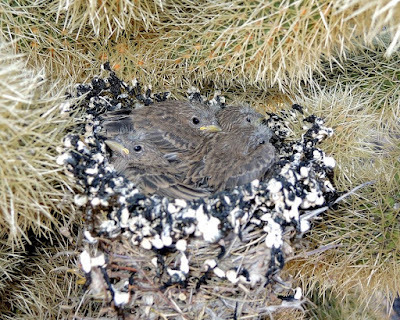 On Phoneline Trail, we came across these house finch nestlings snuggled in their nest inside a Teddybear Cholla (Cylindropuntia bigelovii). I wondered if the black-and-white wall of feces was defensive. 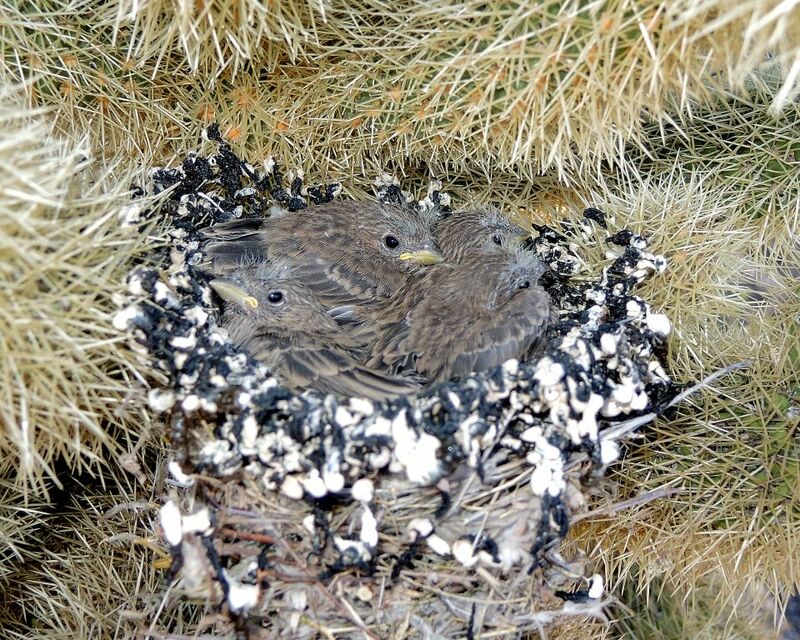 According to 10,000birds.com, after about day five, the nestlings themselves deposit their feces on the edge of the nest - before that, mom and dad eat them. (Oops, are you having breakfast?) No indication that the feces wall keeps away predators, but it looks formidable to me. 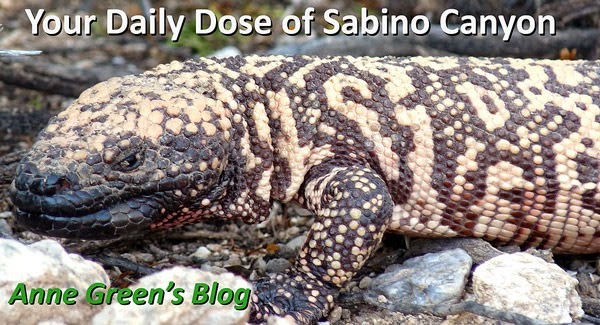 Thanks, Mark, for another appetizing post!